Singapore, April 27, 2012 – Discovery Networks Asia-Pacific (DNAP), a division of the number-one nonfiction media company Discovery Communications, today announced details of a renewed partnership with Tourism Malaysia. 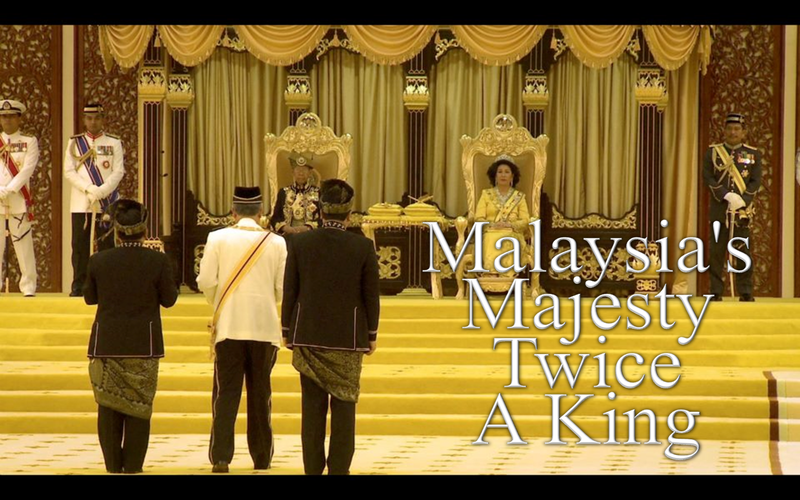 With unparalleled access, Discovery Channel will bring viewers the REVEALED: MALAYSIA'S MAJESTY – TWICE A KING. The one-hour documentary will chronicle the installation of DYMM Sultan Abdul Halim Muadzam Shah from the state of Kedah as Malaysia's 14th King, who makes history as the first person to assume this throne for the second time, 41 years after he first became Yang Di-Pertuan Agong, the paramount ruler. In the unique system of power-sharing practiced by Malaysia's royal rulers, perhaps it is only fitting that the first complete cycle returns a ruler from not only the earliest Sultanate in the country but also one of the oldest in the world. This story reveals how Malaysia's rich and diverse social landscape cultivates strength from her traditions in the face of a world that grapples with the confusion thrown up by modernity and globalization. In a 13-state federation with 9 royal rulers, Sultan Abdul Halim's installation reveals the spirit of "unity in diversity" thriving at the heart of Malaysia's identity and provides a unique window into really understanding what Malaysia is today, where she came from and maybe where she is going. The documentary is currently in production and is scheduled to premiere on Discovery Channel in Malaysia and across Asia-Pacific later in the year. Tom Keaveny, president and managing director, Discovery Networks Asia-Pacific said, "We are pleased to work together once more with our valued partners Tourism Malaysia, to chronicle a historic event in Malaysia's history, and to continue to bring our viewers everywhere the best of what the country has to offer through our high-quality brands." Dato' Azizan Noordin, acting director general, Tourism Malaysia, said, "We welcome the opportunity by Discovery Networks Asia-Pacific to showcase this unique occasion to its worldwide audiences. It's a great visual platform for the promotion of Malaysia as a tourist destination rich in culture, heritage and tradition." Tourism Malaysia's sponsorship also includes an extension of the PASSAGE TO MALAYSIA campaign with brand new episodes hosted by Denise Keller, scheduled to premiere on TLC in conjunction with Malaysia's Merdeka celebrations this August. PASSAGE TO MALAYSIA is an insightful travel series that reveals the country's unique culture, traditions, people, and rich history through the eyes and experiences of the host. In addition, there will be vignettes for the series that is aired on Discovery Channel and TLC..